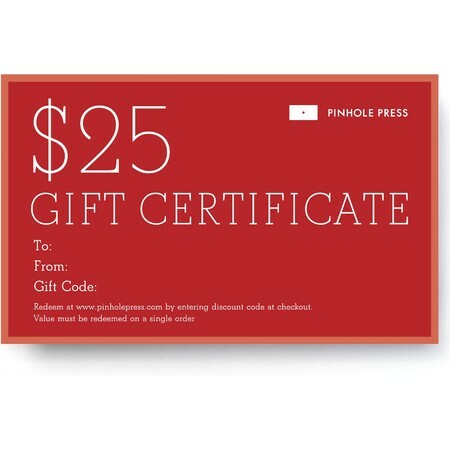 Say it with a gift certificate. Choose the amount that is right for you and let someone make a lasting memory. 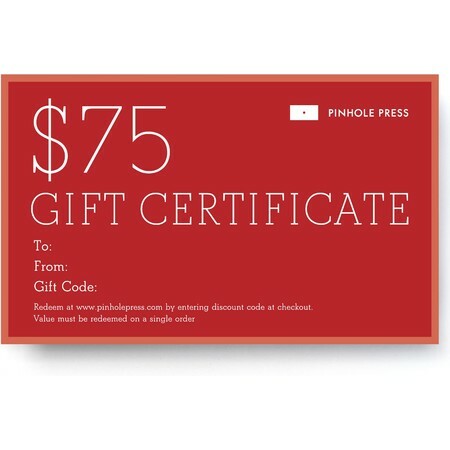 Pinhole Press gift certificates are conveniently delivered to your email address after purchase. Choose the amount that best suites your needs– $25, $50, $75 or $100. The gift certificate is redeemable at pinholepress.com and is non-replaceable. 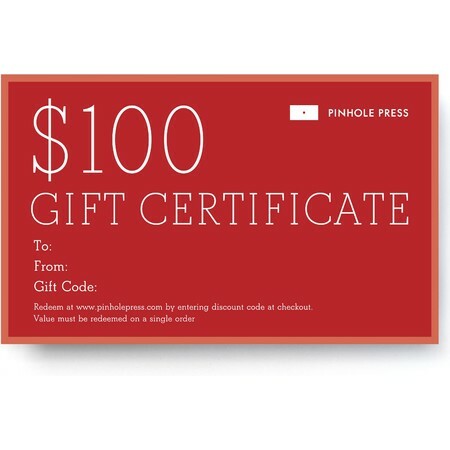 Gift certificates are great for grandparents, in-laws, friends, co-workers, loved ones and friends.